The Randolph Hotel was one of Milwaukee’s large hotels in the west end of downtown at 4th & Wisconsin. 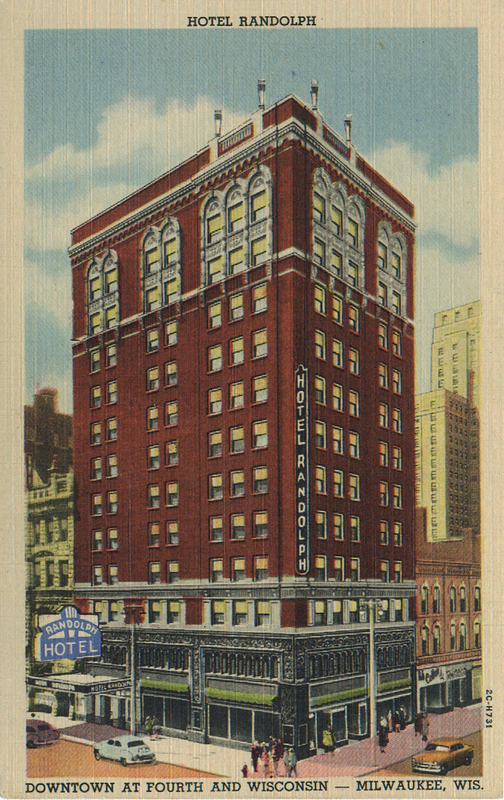 It was built the same year as the Hilton(originally Schroeder Hotel) at 5th Street at a time when downtown was bursting at the seams and growth was at its highest point for the city. This rapid growth would last only a few more years until the stock market crash of 1929. The crash led to the owner of the hotel, Archie Tegtmeyer, to default on payments after which he lost the new hotel. World War II and the post war boom years helped downtown flourish after the Great Depression but by the late 1960s downtown began to stagnate. The late 1970’s were a low point with many of the mid-sized hotels like the Randolph taking on low-income tenants for longer periods of time to make ends meet. The shopping districts which helped to support downtown moved to the suburbs. By the early 1980’s, with the Grand Avenue Mall project attempting to turn around the decay of downtown, there were plans by the City of Milwaukee to clear adjacent properties to spur continued development. The Randolph Hotel was one of many properties in that urban renewal corridor to be purchased for subsequent demolition. Because of its size, the Randolph could not be demolished easily and it was a candidate for demolition by explosives. The early morning of July 21st, 1985 was a unique event which drew crowds downtown to watch the fireworks. The following animated gif and photo shows how the Randolph Hotel met its end. Thanks to John Harley for the picture. Not only attend Doors Open Milwaukee this September 20th and 21st, be part of it! We need 600 volunteers to help the estimated 25,000 people who attend Milwaukee’s open house weekend, and we hope you can be one of them! Don’t be shy! Volunteers are not responsible for giving tours. All we ask is that you help with one four hour shift greeting visitors, distributing Doors Open materials, helping with crowd control, stamping kids’ passports and having fun! All volunteers get the perk of skipping ahead of the long lines with their volunteer badge when they are attending the event, as well as attending a thank you reception exclusively for Doors Open volunteers and supporters. We are looking for people to commit to four-hour shifts at one of a hundred buildings on either Saturday, September 20 or Sunday, September 21. Shifts run from 9:30 AM to 1:30 PM or 1:15 PM to 5:15 PM. Work one shift or as many shifts as you like. We ask that all volunteers attend a brief orientation on either Saturday, August 16th from 10 AM to 12 PM or Tuesday, August 19th from 6 PM to 8 PM. You only need to attend one training session. Visit the Doors Open website to learn more about the event or take the opportunity to sign up right now. Historic Milwaukee, Inc. (HMI) is a private, non-profit educational and advocacy organization, founded in 1974, whose mission is dedicated to increasing awareness of, and commitment to, Milwaukee’s history, architecture, and the preservation of our built environment. Historic Milwaukee, Inc. has partnered with German Fest Milwaukee to offer a special German Heritage Tour on Saturday, July 26th and Sunday, July 27th! Tickets are available for $15 and includes admission to German Fest! About the tour: Walking down Old World Third Street today you are not likely to see many German shops advertising “English Spoken Here” as a special or unique service; but as early as 1848, Germans represented 1/3 of the entire population in Milwaukee and this section of the city was the life’s blood of German immigrants. This tour showcases buildings that represent German-American business, education, faith, politics, entertainment, and publishing. Join our experienced tour guides and learn about Milwaukee’s most notable German biermeisters, tanners, artists, butchers, bakers, merchants, publishers, masons, architects and clergymen. This tour celebrates Milwaukee’s German heritage and recognizes the German community as having one of the greatest cultural impacts on our city. 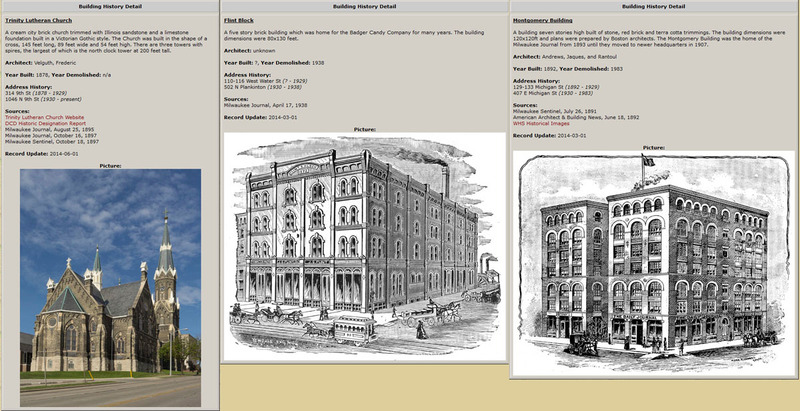 This 1.5 hour walking tour travels down Old World Third Street and through downtown Milwaukee. Guests should wear comfortable walking shoes and be prepared to walk entire length of the tour. Highlights of the tour include: Turner Hall, Maders, Pritzlaff Building, Usingers, Second Ward Bank (Milwaukee County Historical Society), Germania Building, Milwaukee Repertory Theater, Pabst Theater, City Hall, Old Saint Mary’s Church, German English Academy and the Blatz Brewery Complex. This special tour includes admission to German Fest AND a free shuttle from/to German Fest grounds. Click here for more information and book online! Click here for more information on German Fest! 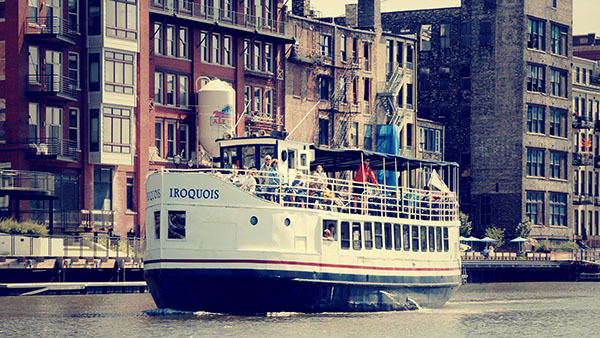 The Milwaukee Boat Line will offer a second season of the popular Mondo Milwaukee Boat Tour detailing the city’s scandalous and hidden past via the rivers and lake. This year’s first Mondo tour will be held Thursday, May 29th from 8 p.m. to 10 p.m., departing from 101 W. Michigan Street. Additional Mondo tours will be held on the last Thursday of each month: June 26, July 31, and August 28, also 8 p.m. to 10 p.m. Hosted by local author and historian Matthew J. Prigge, the tour includes all-true stories about such off-beat topics as the old downtown vice and brothel districts, the deadliest disasters of the lake and rivers, the years when the Milwaukee mafia ruled the Third Ward, and long-forgotten mass graves on the city’s waterfront. Prigge is a PhD student in the history program at the University of Wisconsin-Milwaukee (UWM) and has spent the last three summers leading tours of the city for the Milwaukee Boat Line. His articles on Milwaukee’s history have been featured in several publications and have won awards from local and national organizations. He has written a book detailing some of the strangest and most savage forgotten events of Milwaukee’s past that will be published by the Wisconsin Historical Society Press in 2015. A full bar and snacks will be available throughout the tour. Tickets cost $17.99 each. They can be purchased online at mkeboat.com/tickets or dockside the night of the tour. Visit facebook.com/mondomke for updates. I love old photos and the Library of Congress has a great collection of online images that can be searched. There is a series of Milwaukee pictures by veteran Life magazine photographer Carl Mydans taken in April 1936. 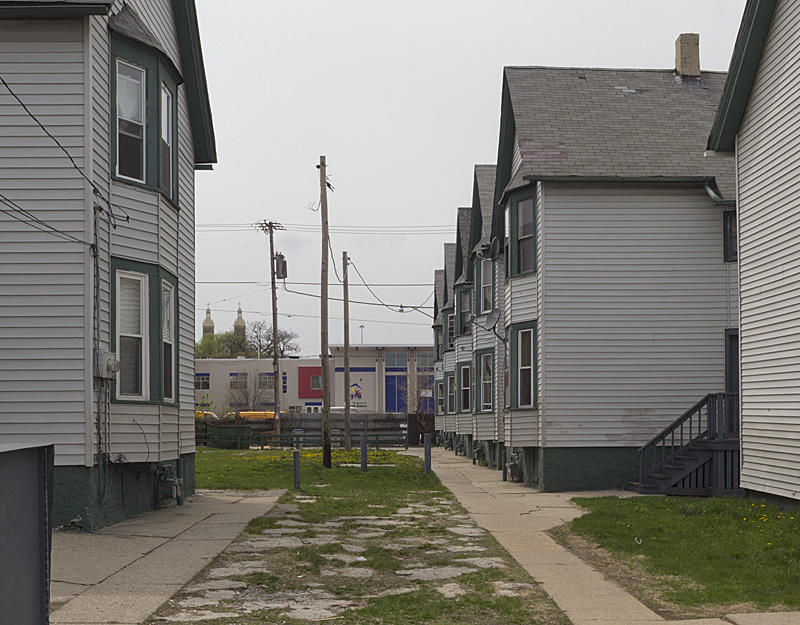 I have looked at these photos many, many times and most of them show areas of town that have been struck by “urban renewal”. As a result, you have to take for granted that these older areas of the city are forever gone. Several of the photos have labels and descriptions that I know are not right and don’t make sense from what I know. The following picture is one of those that have bugged me and it has a description of “View from living quarters at 730 West Winnebago Street”. That area of Winnebago Street across from the old Pabst Brewery is long demolished after the Park East Freeway was built in the late 1960s. I have the large size of the picture as my PC desktop background so I see it all of the time and it was a surprise when I was driving back from Bay View on KK a few weeks back that I glanced over and saw houses that looked like those in the photo. It was an “aha” moment and when I got home, I looked at Google Maps and sure enough, these were the houses I was looking for and they, for the most part, still exist but in the wrong location. Mislabeled historic photos can be found in many places. There is another one on the Library of Congress website that was identified wrong here and is actually around 9th & Clybourn. Gary Rebholz of Milwaukee German Newspapers Index showed me a few pictures on the Milwaukee Public Library digital collection website that had erroneous descriptions. They have since been corrected. So the moral of the story is don’t believe everything you read about where that old photo is from. Chances are that somebody screwed up. Keep your eyes open – history is all around you! Many people have most likely heard of the seminal railroad station in Milwaukee called the Reed street Station. It can be hard to picture where it was located unless you have the right reference point. 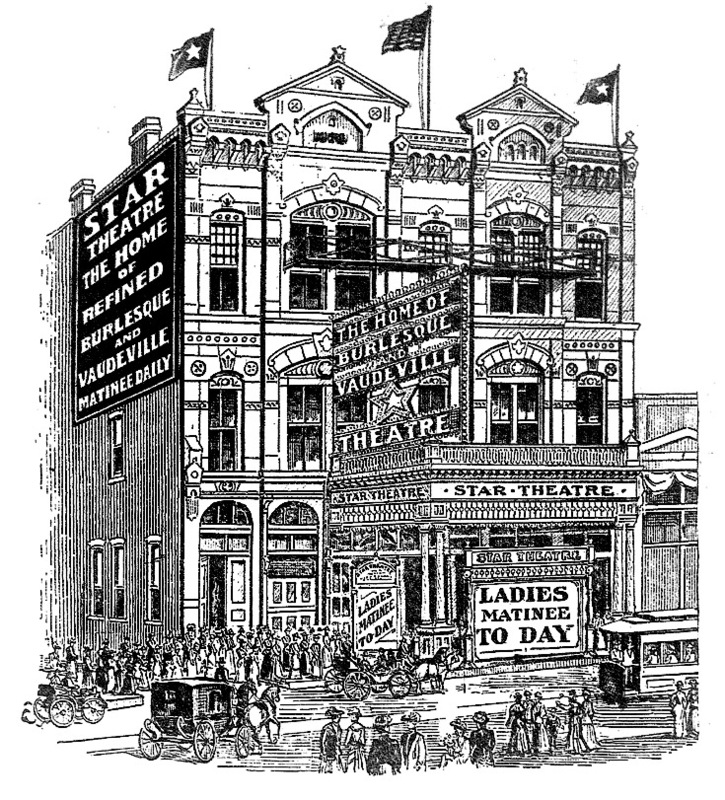 The top view looks south on South Second Street (Reed Street) and was taken for an article in the August 30, 1902 Milwaukee Journal. The second picture is from Google Maps showing roughly the same angle. 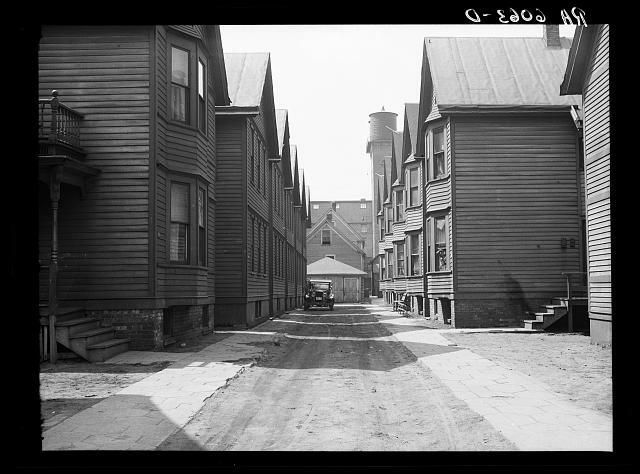 The pink building is the same as shown in the older photo but where the station was is now a parking lot. “How are the mighty fallen.” The fall of the mighty is rarely so well shown as in the present appearance of the old and famous Reed street depot, once the great railway center of Milwaukee. the old structure is shown as it stands today below the street grade, cut up into various divisions, plastered with signs and used for a dozen different purposes. This depot was the great union depot for Milwaukee after the roads about Milwaukee were formed into the big Milwaukee road of the seventies and the Chestnut street depot closed. It was there that all the road’s trains, as well as those of the Wisconsin Central and the Milwaukee and Northern centered, and it was there that the people of Milwaukee received President Hayes in 1879, and Gens Grant, Sherman and other noted soldiers at the time of the great reunion in 1880. For many years the diningroom managed by the late Col. W.S. Johnson was one of the famous railway eating houses of the country, and its excellence made it a strong competitor of dining cars and hotels. Another picture of busy South Second Street looking north towards downtown, circa 1885, can be seen at the UWM Digital Collections website. Another history event coming up is the annual Commemoration of the Bay View Tragedy. This will mark the 128th Anniversary of the battle between workers protesting for an 8-hour day and state militia in 1886. 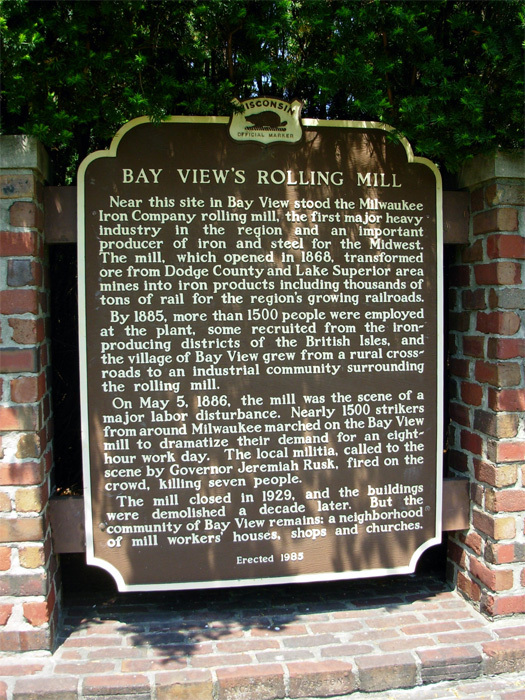 Seven labor heroes died in Bay View on May 5th of that year but their effort led to changes that we now take for granted today. This is a public event held at the Historical Marker Site at the corner of S. Superior St. and E. Russell Ave. It will include speeches, a re-enactment by the Milwaukee Public Theatre, and a wreath laying by Anita Zeidler. The event is sponsored by the Wisconsin Labor Historical Society.